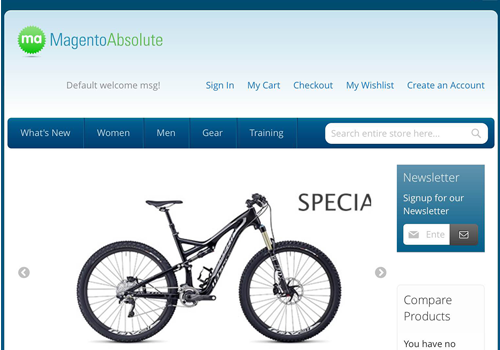 Absolute theme for Magento 1 is at the top of most popular free magento themes for last 4 years. 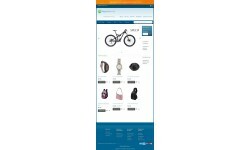 Presently this highly professional template is available for Magento 2. It was developed with the latest magento 2 trends. 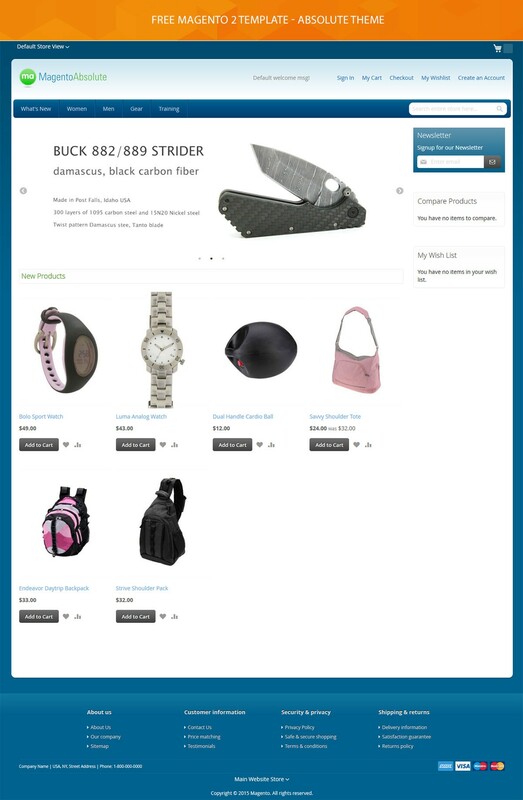 This awesome template offers a lot of options to fit your ecommerce requirements. 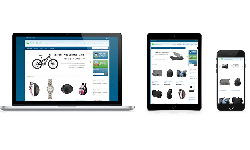 Being responsive it will look awesome on different types of mobile devices. Choosing a powerful template for your website you will generate more sales leads. Stick with Free Absolute theme, and you’ll get a lot of powerful features to get your website to the top of usability. M2 Absolute theme is easy to adjust. Aiming to bring you good user experience, we came up with a fast solution for installing magento template simply. 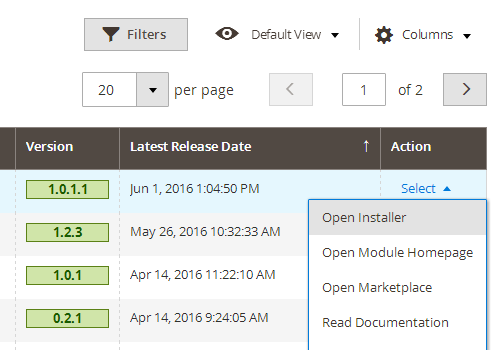 Try out the installer of Swissup module manager. No creating static blocks manually now! Theme installer will install both configuration, content blocks and cms pages. 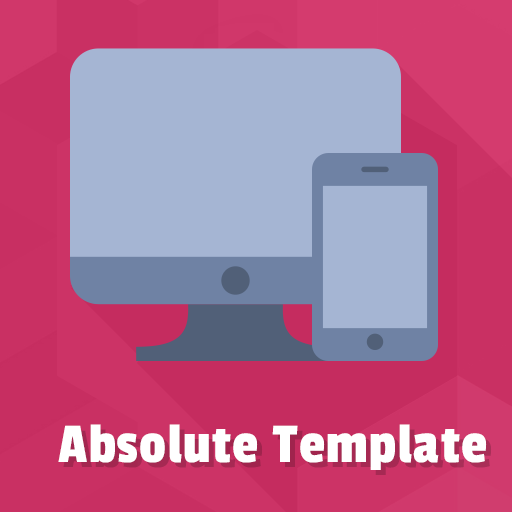 Absolute theme demo is available at our demo server. After theme download you have to navigate to built-in Swissup module manager and open an installer. Using it you’ll be enabled to add homepage and cms blocks in a few clicks. Theme installer starts working after making full backup previous user content. Thus all content that was created will be kept. 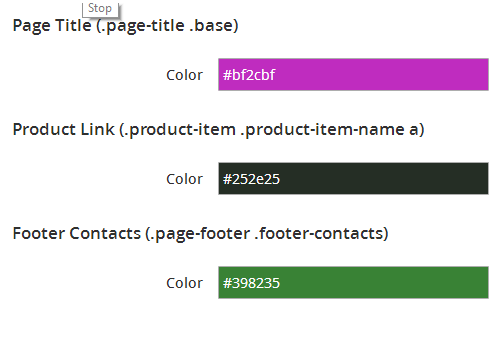 The previous Absolute for Magento 1 was available 10 colors. Here’s your new opportunity, now you’ve got free m2 Absolute to create something of your website. 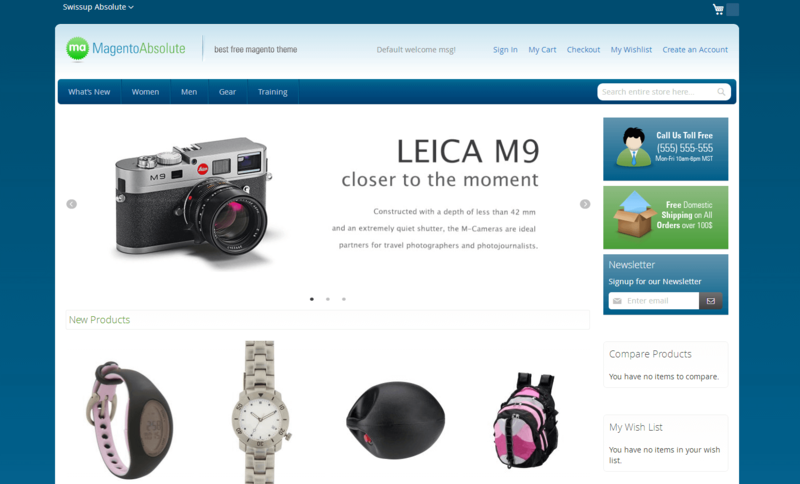 Theme editor comes with wide range of background, font and navigation customization. Play with colors and dream up a stunning online store. The absolute theme comes with two must-have modules. Slick Carousel allows you to design custom sliders. Creating stunning slideshow with featured products via the module functionality will help you to draw users attention with ease. 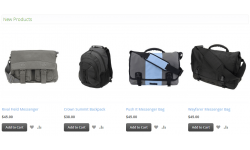 Another key point in visual experience is the placing amazing icons in your store. The built-in Font Awesome extension enables adding highly visual elements on your site pages. Internal module naming convention was updated. 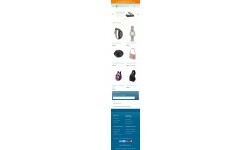 We applied this changes to reach full compatibility with Magento Marketplace policy and new Composer-based installation process.